Luxury brands know the score. So do big brands like Proctor & Gamble. And consumers have made their preference loud and clear with their massive adoption of ad blocking technology. 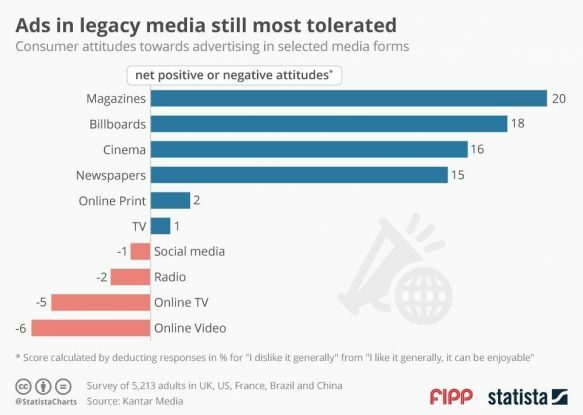 Now Kantar Research is the latest source to confirm what is becoming increasingly well-known: consumers prefer advertisements in legacy media, and especially in print magazines, and tend to dislike new digital media formats.